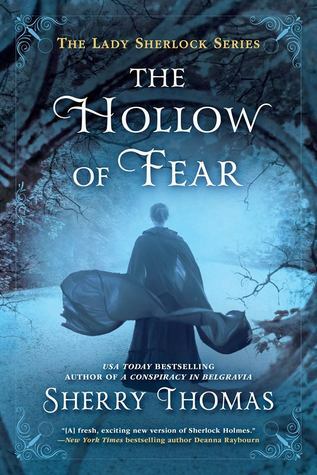 Because this series is unquestionably one of the very best I'm following these days, here is the cover for the third book in Sherry Thomas' excellent Lady Sherlock series—The Hollow of Fear. A moment of shivers for that title, yes? But also. I have it on good authority that a couple of key aspects of this series are going to pick up some steam in this installment. And since the second book, A Conspiracy in Belgravia, was arguably the best sequel I read last year, I am beside myself with excitement. Can you handle it? The Hollow of Fear is due out October 2nd.